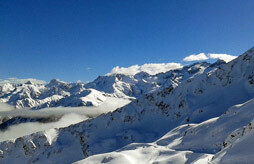 Cheap ski rental in Courchevel : compare ! Ski Express will help you find the best ski rental in Courchevel, to fully enjoy winter sports during your holidays, Courchevel is perfectly suited. It allows you to move between 1300 and 1850 meters of altitude, on one of the four stations that compose it. It’s beautiful snow makes it a renowned domain, and the enthusiasts of spaces without limits will be a delight to travel from Courchevel the immense domain of the Three Valleys. Ski Equipment Hire in Courchevel is available on Ski Express, search, find and compare hundreds of offers today!